In Islam Allah has given considerable importance to parents in taking decisions for their children. Whereas in the west children are out of their parents zone as soon as they turn 18, Islam has a much more intelligent approach to the rearing of children. Islam teaches respect, love and honouring of parents “just as they took care of you when you were young” says Allah in the Quran. So it is highly encouraged to take important life decisions keeping in mind the likes, opinions and views of your parents. One such important decision is the decision of marriage. No matter how much we say we know about our lives and the life partner we have chosen, we cannot deny that our parents have greater experience when it comes to the decision. We, as dutiful children, are encouraged to keep our parents informed of our intentions to marry. Marriage is a very important decision and it is also a sensitive one. 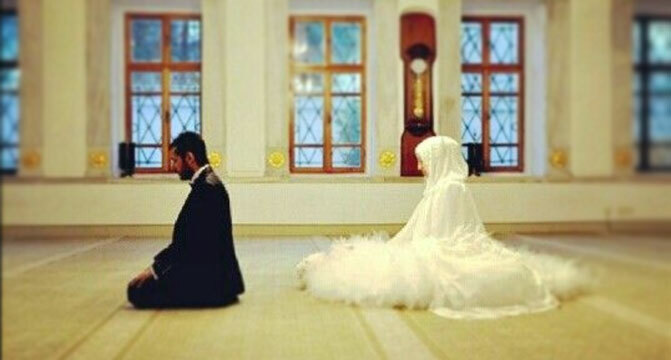 So much so that before marriage Allah has asked us to take all the necessary precautions to honour the respect of both the boy’s family as well as the girl’s. A girl’s will and a boy’s will in marriage is equally important and even if one of them do not agree or are forced, the relationship is considered void. Such is the importance of parents in Islam that the boy and the girl are allowed to look at each other and even communicate in the presence of their parents. How then can we even imagine or believe for a second that our parents have no say in our marriage decision? Allah has asked us to keep our parents informed right from the beginning of our wish to get married so that they can not only advise us, but also formally ask for the boy or girl’s hand in marriage, just like Hazrat Khadijah did for our Holy Prophet (PBUH), she sent her uncle to do so. The elders of our family, our guardians and most importantly our parents have a great role to play in our decisions about life and we must treasure that role, lest we lose it forever. So involve your parents in your decision whatever it may be.